What Small Dog Breed Is Best For You? – dog-gonnit! What Small Dog Breed Is Best For You? Small dog breeds are also called toy dogs. The dogs are the smallest types of dogs available. Small dogs also tend to be less expensive then larger dogs as they eat less, due to their size, and generally have less mess, less shedding and generally less cost. Originally these small breeds came from ancient lap dogs. Some dogs were breed as smaller versions from hunting or work dogs. Small dogs were used to display wealth in olden days as well as attract fleas away from their owners. The class, small breed or toy dog came from competitions and traditional categories. The Shih Tzu and Chihuahua dogs are exclusive to the small dog breed. There are dogs that have been breed from their larger counterparts and are just smaller versions like the Toy Poodle and Miniature Dachshund. Small breeds make great pets as they have limitless energy and are well suited for less active individuals and smaller living areas. They also tend to eat less than larger dogs and generally have less mess and shedding due to their size. These breed are also 0065cellent watch dogs because despite their size they have piercing barks. They are very alert and will report any unusual behaviour, like a burglar by barking incessantly. 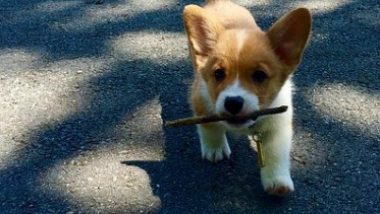 Most small breeds are also easily trained, though a few breeds may take longer due to the stubborn nature of the breed. Small dog breeds are generally healthy but can be prone to specific health issues. If you obtain your dog from a reputable breeder and feed it a healthy diet and makes sure it exercises then you shouldn’t have any problems. Due to the size of small dogs they may be more prone to bone breakage or injury. The most well know dog breeds are Miniature Punscher, Manchester Terrier, Yorkshire Terrier, Maltese, West Highland White Terrier, Lundehund, Toy Mexican Hairless, Lowchen, Lhasa Apso, Toy American Eskimo, Klein German Spitz, Toy Poodle, Japanese Chin, Toy Fox Terrier, Jack Russell Terrier, Tibetan Spaniel, Swedish Vallhund, Italian Greyhound, Skye Terrier, Havanese, Sealyham Terrier, French Bulldog, Scottish Terrier, English Toy Spaniel, Schipperke, Dandie Dinmont Terrier, Silky Terrier, Coton de Tulear, Shih Tzu, Chinese Crested, Pug, Chihuahua, Podengo Portuguese Pegueno, Cesky Terrier, Pomeranian, Cavalier King Charles Spaniel, Pembroke Welsh Corgi, Pekingese, Cairn Terrier, Cardigan Welsh Corgi, Patterdale Terrier, Brussels Griffon, Papillon, Norwich Terrier, Bichon Frise, Norfolk Terrier, Boston Terrier, Miniature Schnauzer, Border Terrier, Miniature Dachshund, Affenpinscher, Mittel German Spitz, and the Australian Terrier. For more on owning a small dog, visit http://www.greatdogsforpets.com where you can learn all about your dogs care and training. Click Here to Learn How to Keep Your Dog Healthy and Happy! 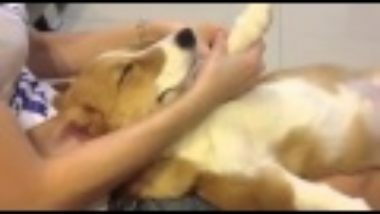 Click here for more Pembroke Welsh Corgi info. Click here for more information about 'What Small Dog Breed Is Best For You?'. Does DACHSHUND IS A HOT DOG ? OMG!!! I live in a apartment and now that i know you can have a pug in one i Want one! suprised corgi was not here?